Mozilla plans to drop the Firefox Aurora release channel with the release of Mozilla Firefox 53 on Wednesday, April 19th 2017. The change affects the Thunderbird and SeaMonkey projects as well. Mozilla introduced what it called the Rapid Release Model in 2011 which changed the Firefox release system dramatically. This meant two things: first, that Mozilla would release a new stable version of the Firefox web browser on a six week schedule, and that it would use three development channels, Beta, Aurora (also known as the Developer Edition), and Nightly. Firefox changes are introduced in Nightly versions. They are then moved to the Aurora channel first, then the Beta channel, and then finally to the Release channel which most users of Firefox are on. Mozilla did change the fixed schedule somewhat when it introduced a flexible schedule for Firefox releases. Rumors came up in early 2017 that Mozilla was considering dropping Firefox Aurora. Project Dawn changes this. Mozilla removes the Aurora channel from the Firefox release model. One of the effects of this is that Nightly changes will find their way to the Beta channel right away. Beta versions of Firefox get changes a release cycle earlier, as the Aurora channel is no longer part of the release system. The change has an effect on the Thunderbird and SeaMonkey projects as well, as they use the same release model as the Firefox web browser. Basically, what this means is that both projects will drop the Aurora channel as well. This won’t change the Firefox release schedule. The only change that users may notice is that the upcoming Nightly version of Firefox won’t be uplifted to Firefox 56 next week. It remains on version 55 for the next release cycle to sync with the Beta and Stable versions of the browser. It will then be uplifted to Nightly 56 on the next schedule. Firefox Aurora was known as the Developer Edition of Firefox. 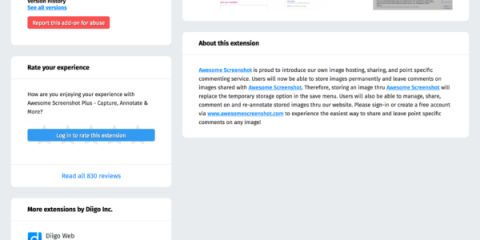 It shipped with a custom theme, came with some development related features enabled, and used a different profile by default as well. The main focus of the Developer Edition was developers, and the removal of the Aurora channel raises the question whether that means the end of the Developer Edition as well. In short: Mozilla plans to create a special Developer Edition of the Firefox web browser using Beta channel releases. 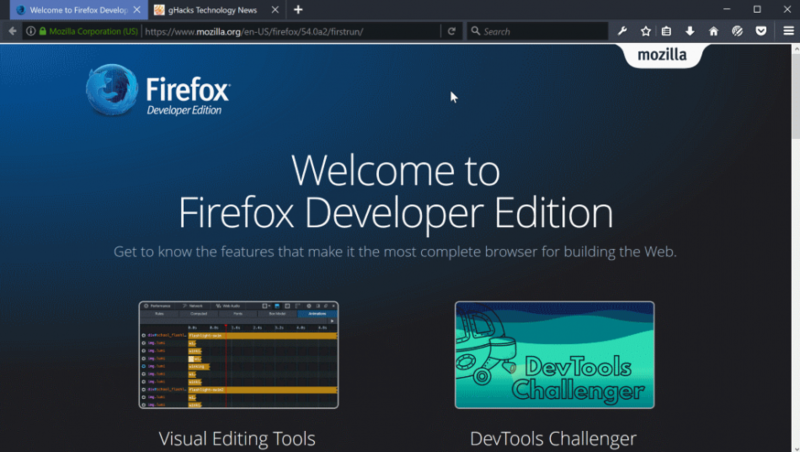 The upcoming Developer Edition is identical to the Beta version of the Firefox web browser when it comes to features that it supports. It retains the developer specific theme and features mentioned above however. We don’t know yet where you will be able to download the new Developer Edition of Firefox. One possible option is that you will download it from the same page it is offered on currently. Existing Firefox Developer Edition installations will be moved to the Beta channel automatically. This won’t happen next week though, as Mozilla is still working on the migration. Features that Mozilla introduces in Firefox Nightly may find their way faster to the Firefox Release channel. That’s good obviously, as it means that important features will be available a full release cycle earlier than before. Now You: What’s your take on this development? The post Project Dawn: the end of Firefox Aurora appeared first on gHacks Technology News.